Access our modern, clean and secure Chiswick storage units any time – we’re open 24/7, 7 days a week. Come and go as you please and take advantage of the ultimate in flexible storage. Your storage unit is alarmed and protected by CCTV, offering security and flexibility at a competitive price. Whether you’re between homes, decorating or going away for an extended period, our Chiswick storage units offer security and affordability, plus easy access from West London, Surrey and Middlesex. 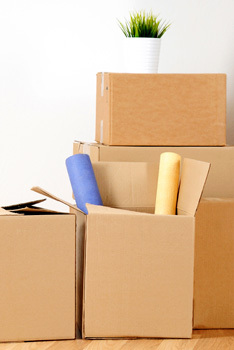 The Kiwi Movers storage team are experts in logistics and removals. Our Chiswick self storage units provide flexibility and convenience without sacrificing security. Ideal for short term storage, just pay for what you use. If you’re storing stuff longer term, you can take advantage of some great discounts. We offer bulk containerised storage, warehousing and long term self-store options – all within our secure, clean and dry units. Chiswick is in the borough of Hounslow, well outside of the London Congestion Zone. You’ll never need to pay the London Congestion Charge when travelling to your Chiswick storage unit, unless you travel through central London (not recommended, there’s always a better option). Prepare an inventory of all the stuff you’re putting into storage. While your stuff is secure and protected in storage, keeping an inventory makes preparing a move or relocation so much simpler. Photograph everything before you put it into storage. This is a quick and easy alternative to measuring up. When it comes to taking your stuff out of storage and into a new place, these photos will be a useful reference when planning to optimise your space. Don’t overpack. Doing this adds extra bulk and weight to your stuff, which makes storage and transport more expensive (and more of a hassle). By the same token, don’t under do it with fragile and breakable stuff. Wrap glass, china and porcelain items individually. Don’t pay to store fresh air. Use empty suitcases to store clothes. Use spare space inside tool boxes for things like instruction leaflets. Take the strings off of musical instruments and use the inside of acoustic guitars and the back of amplifiers to keep dust cloths. This will also protect these items during the move. Don’t store perishables. Obviously you weren’t thinking of keeping food in your Chiswick storage unit, but what about gardening products, paints and decorating supplies? These can all go bad over time. If you have any gardening supplies, consider donating to them one of the 600 allotment plots over six sites in Chiswick. Donate stuff to charity. Sometimes replacing items works out cheaper than transporting and storing it. Things like gym equipment, books and DVDs can be had for cheap on places like Amazon and eBay. In the meantime, there are plenty of charity shops in Chiswick that would be grateful of your support. Oxfam Boutique is at 190 Chiswick High Road, if you’ve got any posh clothes you don’t need any more. Save the Children is at 152 Chiswick High Road. Cancer Research is at 278 Chiswick High Road.